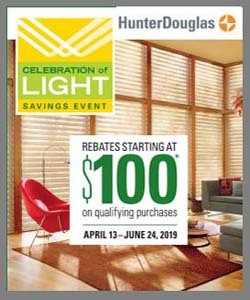 Beautiful and functional, designer roller and screen shades from Hunter Douglas can add style to any room. If you’re in the market for new window treatments, these might be just the solution for your home. These shades are also offered in a variety of operating systems, including PowerView. PowerView® Motorization allows you to operate and program your shades to open and close when you want—even when you aren’t home to create the perfect room environment—morning, noon, and night. 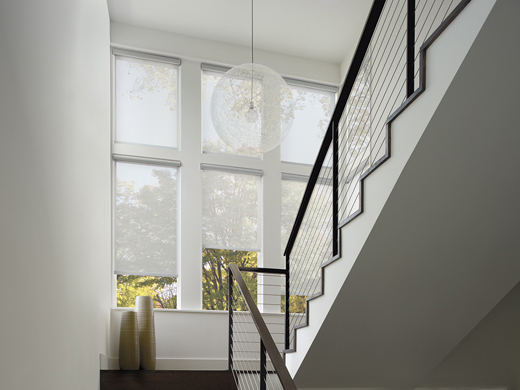 Speak with a trained consultant at Bretz Interiors serving Lakewood about your designer roller and shade options today. The Designer Roller and Designer Screen Shades from Hunter Douglas are the perfect combinations of form and function. Available in a wide variety of colors and styles, these shades control glare, heat, and natural light, and they provide UV protection. In addition, these incredible shades come with high-performance fabrics that go beyond the standard screen and roller shades. These fabrics reduce glare and control natural light while providing UV protection for your furnishings. The Hunter Douglas Designer Roller and Designer Screen Shades have achieved GREENGUARD Gold Certification. What does that mean? GREENGUARD Gold Certification means that these products have demonstrated that they have the safety factors to account for sensitive individuals such as children and the elderly. This certification ensures that a product is acceptable for use in environments such as schools and healthcare facilities.